Richard Irwin (Belper, United Kingdom) on 2 May 2008 in Plant & Nature. Another macro shot, this time of an exotically colourful tulip. It is indeed, and well photographed. Great macro and so much natural colour. That is a stunning tulip! Excellent work (again). Very well done, Richard! Beautiful shot. Fabulous. I like how it feels like we're really peering in. Very fine sense of composition. An inner sanctum full of light. I love it. That is a stunning close-up, Richard! 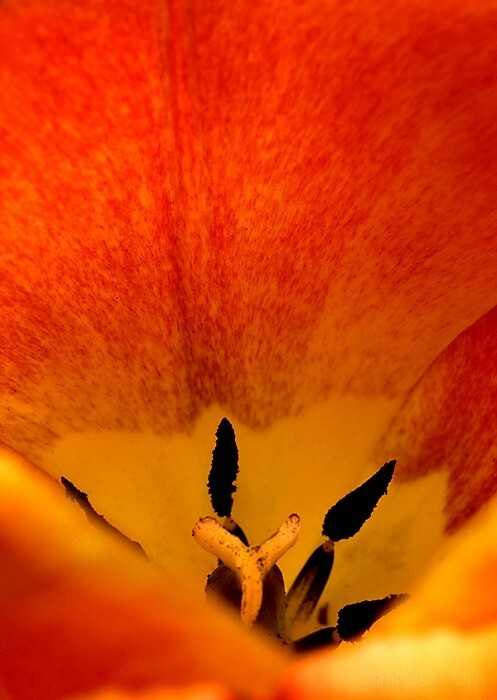 Great macro - the details are fabulous and you composed this image very well. Great impact shot . . like peering over the edge into another world. Exploring? She'll never tell you her secrets! This is awesome Richard. Such superb colours, and I especially like the p.o.v., I feel like i'm about to fall in!